In the S-shape land of Vietnam, there are many tourist attraction stretching from the north to the south. Each of them has the distinctive charm that will satisfy your wanderlust. Some of them have majestic nature that is the present inherited from the Mother Nature while some of them shine by the artificial beauty. Among them, the tourist attraction having the historical value is always stand out and on the top of the must-go list of the travelers. 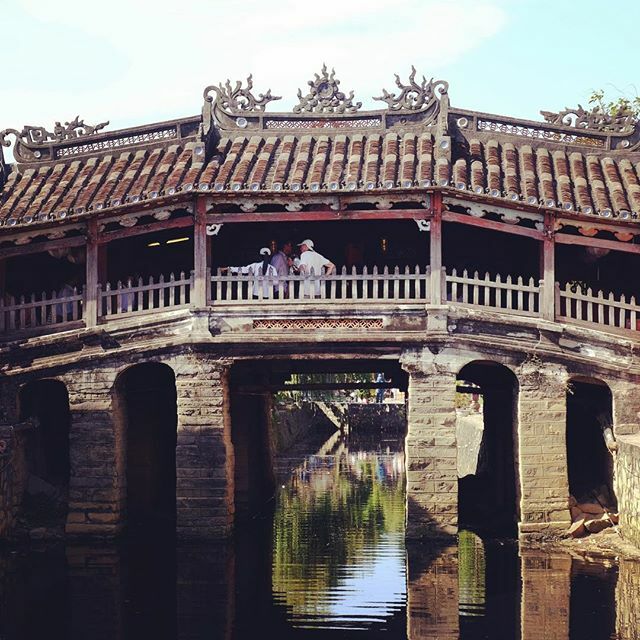 In this list, Hoi An Ancient Town is the best choice for your trip if you truly are a nostalgic person and interested in discovering the ancient place. Let’s jump into the historical river and find out the hidden gems in this ancient city. Hoi An Ancient Town was declared a World Heritage Site by UNESCO in 1999. The word “Hoi An” means a peaceful gathering place which reflects the distinctive value of this ancient town. Hoi An owns favorable geographic characteristics so from 2000 years ago, this place had existed and developed as a trading place. From the second to the fourteenth century, Hoi An belonged to Cham pa Empire which attracted the large amount of merchant from China, Arabia, Persia,… This trading port made a great contribution to the development of Tra Kieu – ancient citadel of Champa and My Son sanctuary. Once again, Hoi An was regenerated and came to the flourishing period with the tremendous development in 16th to the 19th century. Many merchants not just in the area but also from other countries all around the world came here, therefore, Hoi An became the most important trading port of East Vietnam Sea. Then along with the rise of the new port – Da Nang, Hoi An fell into oblivion. Nowadays, Hoi An is preserved as an ancient town and a tourist attraction. This wooden bridge is the symbol of the friendship between Japan and Vietnam. It was built by the money donated from the Japanese merchants in the past. Because of that, the pagoda still keeps the Japanese architectural characteristics till now. There are different stories about the origin of this bridge. Some people say that this bridge build based on the legend of Mamazu – a sea monster in Japan whose head is in Japan but the back is in Hoi An. This monster is the cause of the earthquake in Japan so they built this bridge in the shape of the sword to overmaster it. Another story says that in two bridgeheads of the bridge, there are a dog and a monkey because according to Asian zodiac, many Japanese kings was born in these years. Till now, Chua Cau has become the place where the Japanese festival organized in Hoi An ancient town. When you come here at night, the bridge shine in different colors come from different lanterns hanging on the bridge. 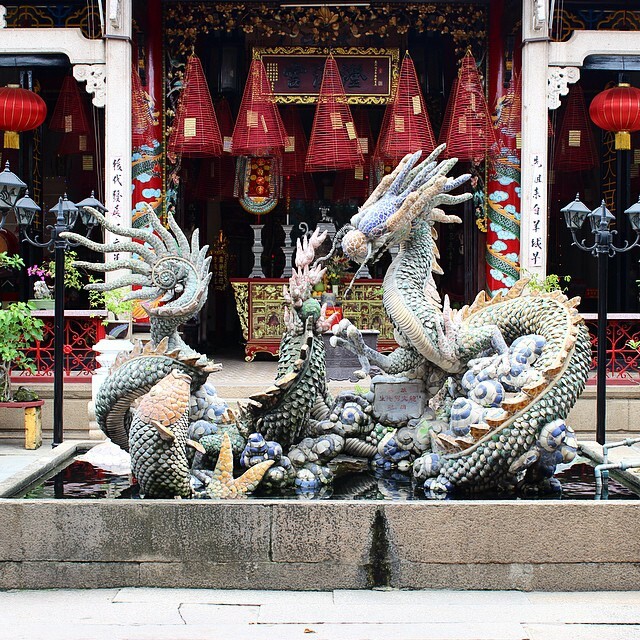 There are 5 famous Assembly Halls in Hoi An. 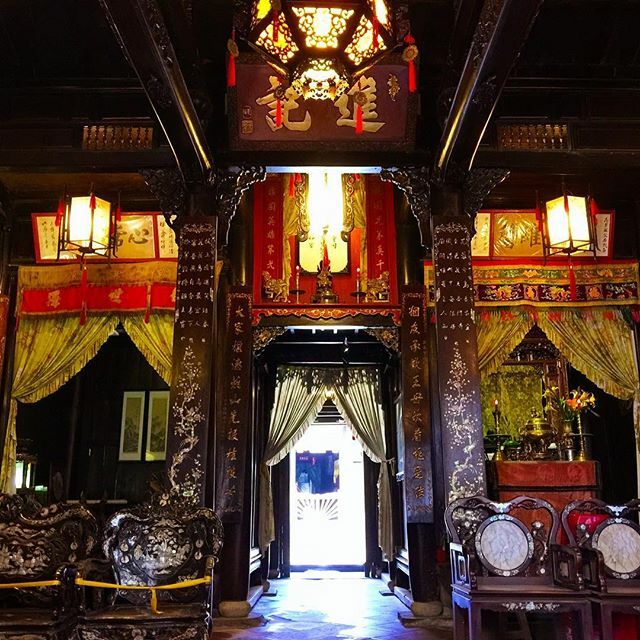 This Assembly Hall was built in order to worship Thien Hau Thanh Mau and Confucius, after that change into Quan Cong and Tien Hien. It made from wood and stones. 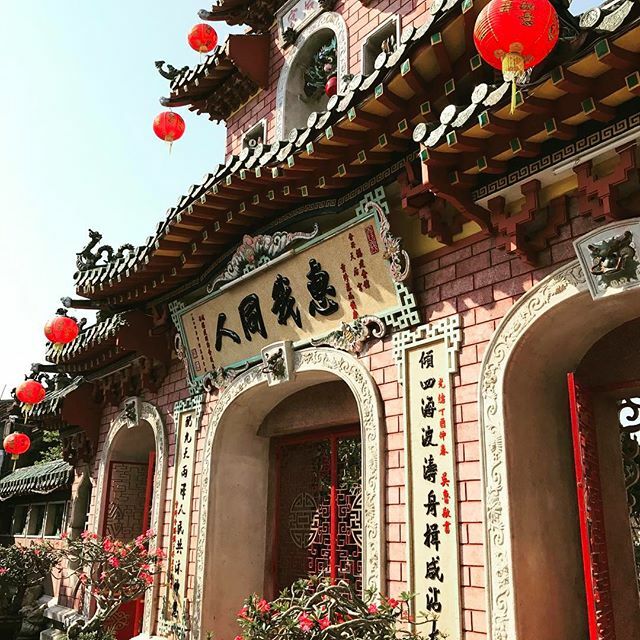 This is the place where the merchants in specific and the people came from Quang Dong Province of China gathered and organize the community activity. The statue and the carved decoration in this premise make the reputation for it years after years. This premise was built from the money from Phuc Kien, Gia Ung, Trieu Chau, Quang Dong, Hai Nam. 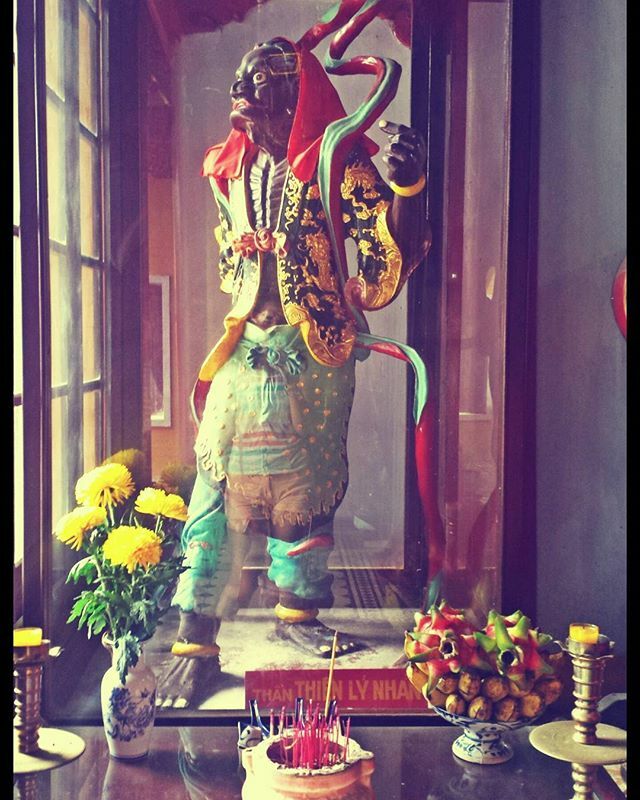 In this place, Chinese people worshiped their traditional gods. This premise is totally in Chinese traditional architectural style. In this premise, they conserve a 500-year-old Tripod Cauldrons. This Assembly Hall is the biggest and the most famous one on this list. 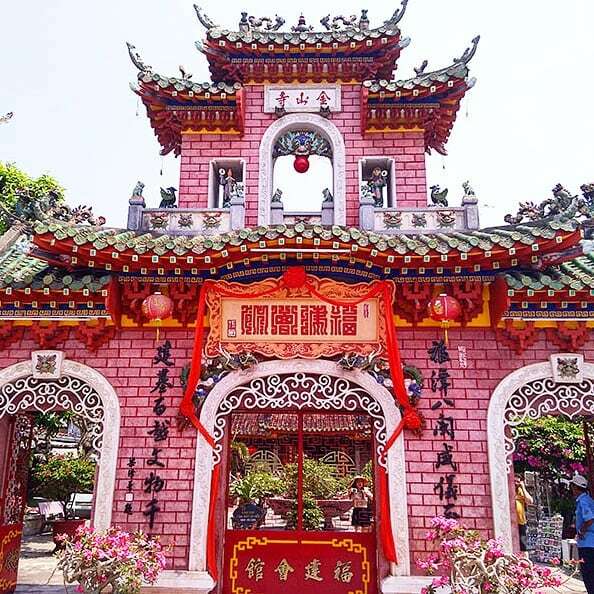 As same as other Assembly Hall, Phuc Kien Assembly Hall is also used for worship Chinese’ s traditional gods and the gathering place of the people came from Phuc Kien in Hoi An. At first, this hall is just a small temple. However, after time by time repaired and retrieved, it became bigger and more picturesque contributing to the beauty of Hoi An’s landscape. The skillful craftsmen with their genius talent had made the incredible beauty of this hall. By visiting this Assembly Hall, you can discover the traditional culture of Chinese people. Different from other assembly halls, this assembly hall worship 108 Chinese merchants who died by the mistake of Nguyen dynasty. When they came to Vietnam, Nguyen dynasty thought that they are the enemies so their boat was shooted by the cannons. This assembly hall was made to worship Phuc Ba god – who control the power of the sea in order to pray for good weather. The biggest festival organized here is in Lunar New Year when many people come here to celebrate the festival together. When you come to Hoi An, it is a big shortcoming if you miss this place. This old house saves the old life of Hoi An ancient town inside it. 7 generation of Le family lived here and now it is a national heritage where owns the honor to welcome the head of the state from other countries. Experiencing the ups and downs of the history, the house still can keep its old image like a historical witness. This old house was built by the most skillful carpenter of Kim Bong village – a carpenter village of Quang Nam. The floor of the house tiled by Bat Trang brick. Coming to this village, you may think that you can listen to the breath of the history. 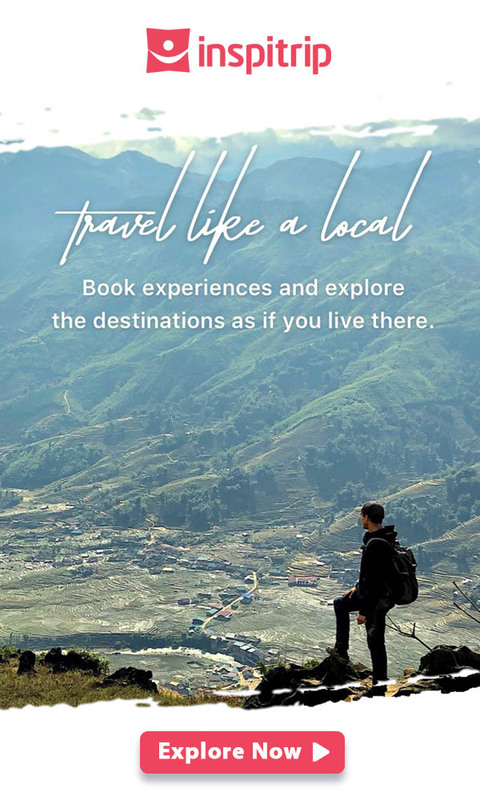 When you come to Hoi An, if you don’t want to miss any corners of this beautiful ancient town, keep in mind that you should not use car or bus to go around. This place is the land of walking and cycling. In the afternoon, after 3 pm, all streets inside the ancient house will ban every transportation. The street will be full of people who are walking around to visit the small store selling crafts, the tailor shop on two sides,… This is the time that you should let yourselves slow down and enjoy this peaceful atmosphere. This is one of the most favorite things that I want to introduce to you. This festival is organized on Hoai River to pray for happiness on 15th in the first lunar month. On this day, every house on every street in Hoi An will hang on the lantern in different shapes with different colors. Besides, you can buy the flower garlands and release them on Hoai River. Beside the shops selling crafts, the small coffee shops are also famous in Hoi An. Different from the coffee shops in the big city, coffee shops in Hoi An are always quiet and peaceful. People come here not just for drinking coffee but also for enjoying this peace. Reading a book while drinking a cup of coffee will completely wash out every weariness, pressure of the hustle life. The traditional lantern is a large piece of the beautiful image of Hoi An ancient town. 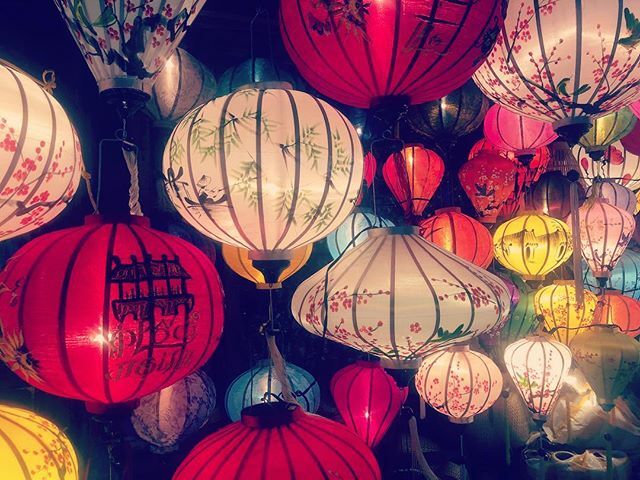 When you come to Hoi An, lanterns will be full of your eyes. You can see lantern every places you go. Therefore, lanterns are the indispensable gift you should buy in Hoi An. They will be a delicate decoration in a corner of your house. In Hoi An, you can easily find out many tailor-made clothing shops. If you want to buy clothes that totally fit your body, come to these clothes to make it come true. You can tell the tailor the design that you want, choose the cloth and then go around the ancient town before coming back to get your clothes. There are many kinds of crafts you can buy from Hoi An. You can buy some souvenirs, jewels, key chains for your friends, some notebook with a beautiful design on it that you can not find anywhere else,… Each of them is the present from the craftsman with their talent. 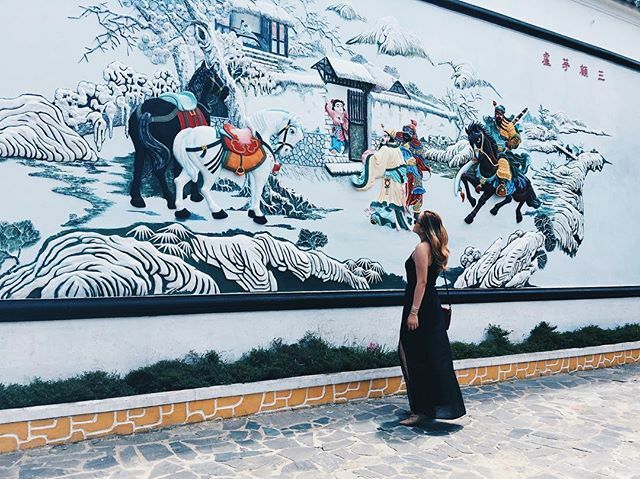 When you go around the streets in Hoi An, you easily to see the painting on two sides. A painting to save the memory that you have in Hoi An to bring back home will remind you of this place. In the list below are some foods that you can try when you come to Hoi An. Cao lau is a kind of noodle that is very popular in Hoi An. In the cooking process, Cao lau requires the meticulousness of the makers. The ingredients are rigorously selected in order to make a perfect flavor that the guests never forget. My Quang is the indigenous food in Quang Nam district. It is also a kind of noodle made from rice flour with the soup and slices of moist roasted pork on it. You can try this food in other places in the south of Vietnam but the taste of My Quang here is original. 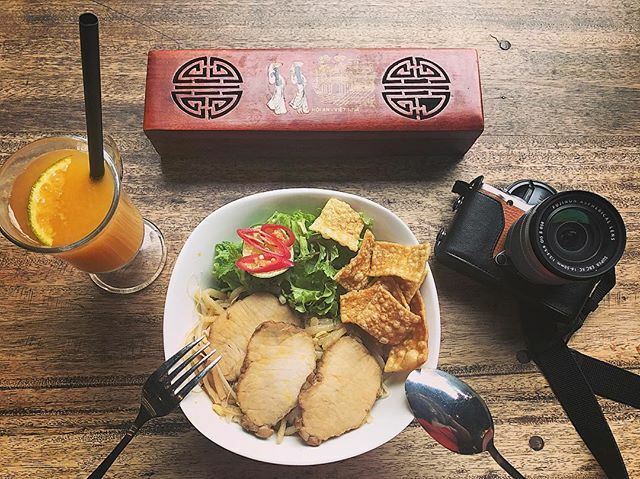 The chicken rice in Hoi An also has a different taste with chicken rice in other places. The boiled chicken will be cut into small slices and seasoned with the spices and then put on the golden rice. This dish is the must-tried food when you come to Hoi An. Banh my is the typical food in Vietnam. In Hoi An, banh my Phuong is very famous for its taste. Some people called the banh my in this store is the most delicious banh my in the world. It is an attractive review, right? This store is also honorably appeared on the TV show “No Reservations” of Anthony Bourdain. The ingredients of this store are completely made by the owners of the family formula. 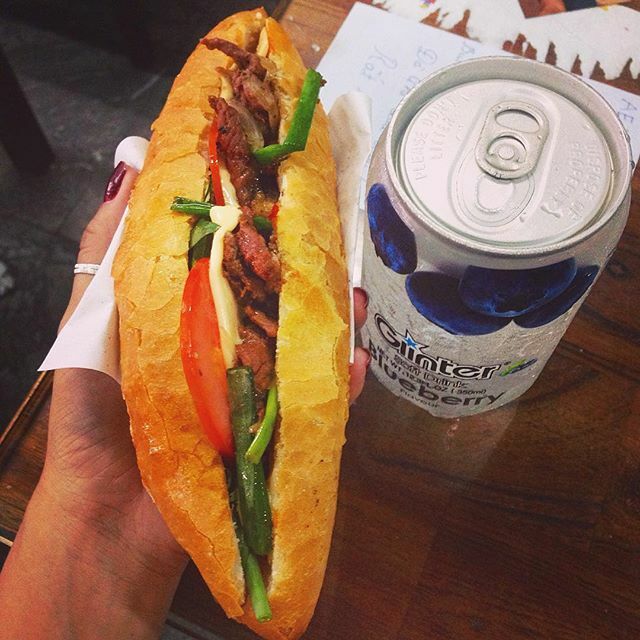 Are you ready to try the most delicious banh my in the world?